Reforming a property can often be more complex than building a new house. M3BT has a wealth of experience in reforming properties resulting in some beautiful transformations to meet the new owners needs. Great care has to be taken to ensure that the work can be conducted safely and within budget. Where the property is old, or displays structural issues, we always recommend the services of an independent surveyor before any planning, design or work can be done. M3BT project managers will coordinate all the various in-house and sub contracted trades, including architects, according to the requirements of your project and will guide you through the licensing process in the town hall. 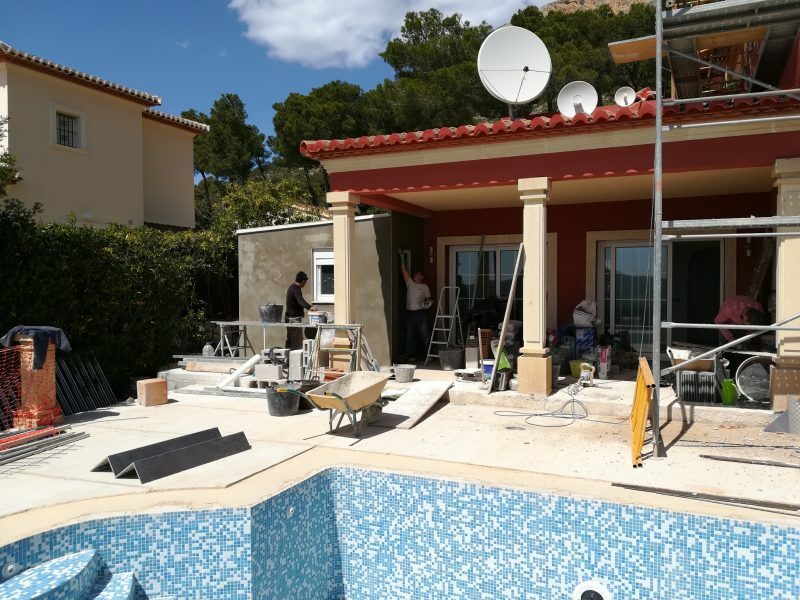 Our project managers and our in-house building teams have a great deal of experience of all build types and styles, rustic traditional or modern. Having the various trades in-house ensures the control required in order to deliver a quality outcome every time. M3BT provide everything you need to safely transform your old property, from underpinning and structural repairs to a new kitchen or bathroom. We also provide outdoor construction like terraces and swimming pools, barbeque houses and pergolas. Many older properties need damp proofing and external protection from the elements. Take a look at our Damp Proofing and Decoration sections for further information on guaranteed products.